Move your massage from soothing relaxation to racy foreplay by supplementing it with a few slick licks. Gently warming and featuring a lip-smacking sweet caramel flavour, this delicious formulation adds a new dimension you'll both enjoy. Order over the phone: Call 0044 1225 303 840 and quote code 51714. Could smell it as soon as we opened the bottle! Pure caramel! It was delicious! Although it was slightly sticky (which made for a fun clean up afterwards), we could both feel the warmth from the lubricant instantly, it made everything more sensitive! Oral was a whole new sensation as well - neither of us wanted to stop because the taste was just too good! Safe to say the first bottle went down very quickly! Was also fun to use for a massage! The smell! The heightened sensitivity! So warm! Most importantly, the taste! Exactly as advertised and above all, delicious! 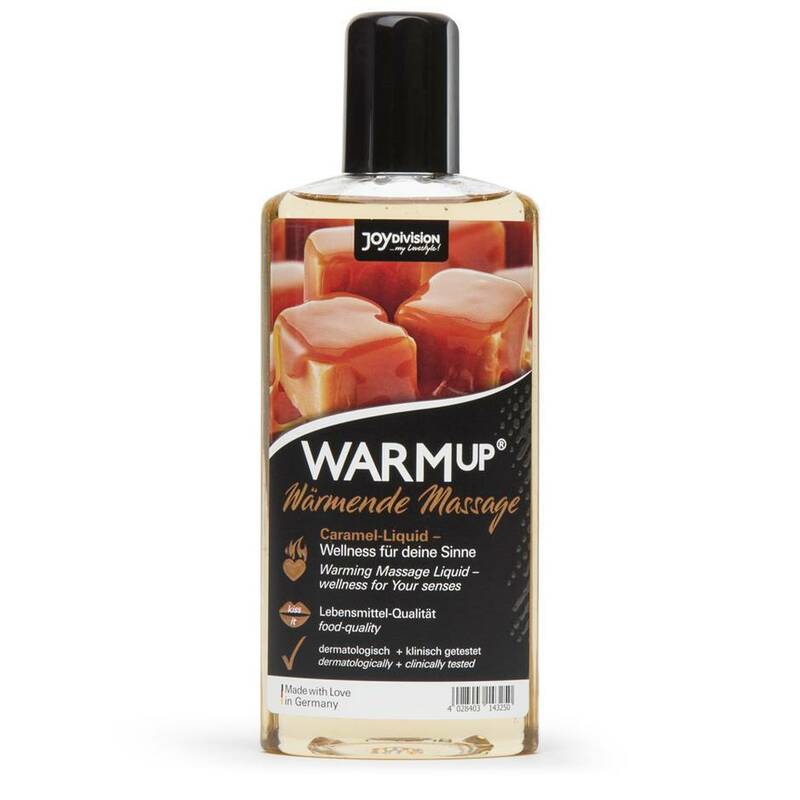 Love the smell of this one and it really does warm up on the skin! Not too wet either, it’s just the right consistency. We love giving massages, so have tried lots of different oils, this one is definitely up there with one of our favourites! Recommend it to anyone! Now, I bought this for a friend so I'm reviewing on behalf for her. We got this delivered to the work office and smell is so gorgeous. You would want to literally just drink it! As others have said, you really don't need much of it. It's not sticky at all and a small amount goes a long way. It gently warms as you massage it into your skin. She said this was an excellent purchase! Will be spreading the word.